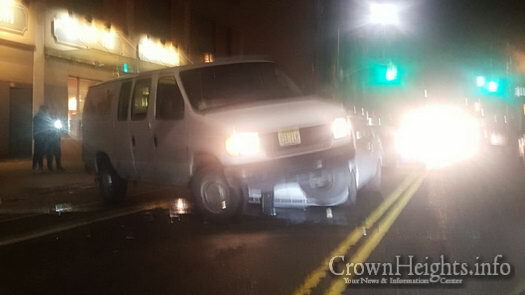 A delivery van from a local Crown Heights supermarket was involved in serious looking crash on East New York Avenue. 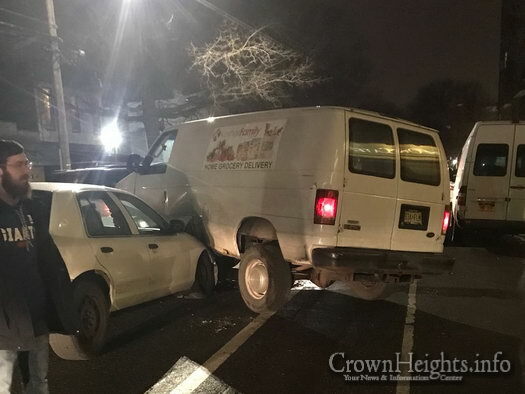 The incident occurred at around 7:15pm on East New York Avenue off Kingston Avenue. 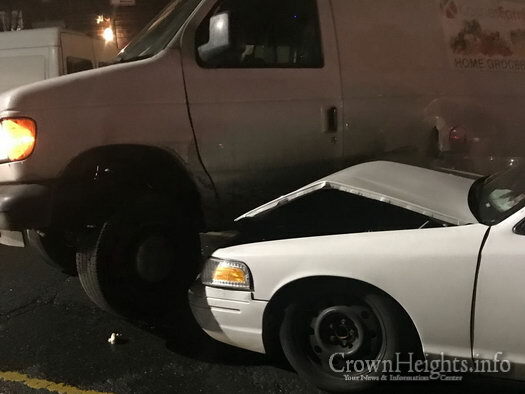 The van, which is used a delivery vehicle for Empire Kosher and The Marketplace, was pulling out of a parking spot or making a u-turn when it was broadsided by a sedan traveling straight. 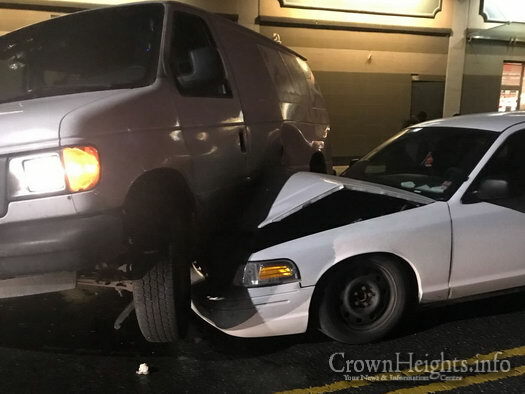 The force of the collision lifted the van off two of its wheels and was left wedged atop the sedan. All occupants of the vehicles were able to free themselves from within the wreckage and there were no reports of serious injuries. 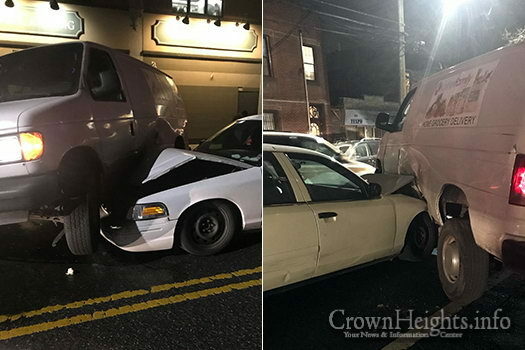 NYPD’s Emergency Services Unit was required to pull the vehicles apart. 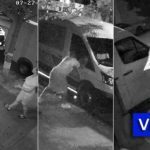 why did the van driver cut-off the sedan? 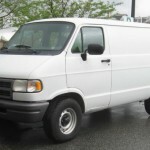 he wheelie wheelie van-ted to get to the other side? Because it was the chicken’s day off!